Managed by TMG, a leading travel and hospitality group operating throughout Asia since 1994, Emeraude Classic Cruises offers guests a premium, value-for-money experience in Halong Bay on 1- and 2-night itineraries. Limited to just 80 passengers per sailing, the Emeraude is unique among the many hundreds of ships plying the waters of Halong Bay in that it is modeled after a turn-of-the-century paddle steamer, evoking a time when travel was synonymous with style and leisure. From our vintage décor paired with state-of-the-art navigational and safety systems to our freshly-made crêpes on the Sundeck and elegant seafood BBQs – everything about the Emeraude is designed to make your Halong Bay cruise the safest, most stylish and memorable cruise experience possible. In 1999, a young Frenchman named Eric Merlin came across three old postcards in Paris’ St. Ouen flea market. 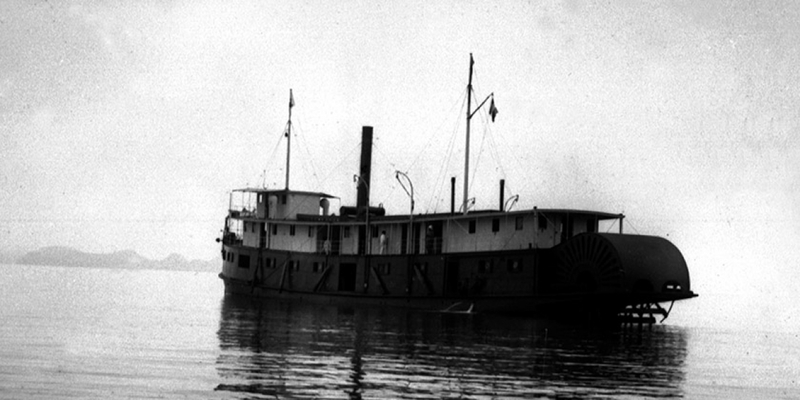 Dated just before 1920, the faded postcards pictured paddle steamers in Halong Bay, with one of the vessels named “Emeraude”. Obsessed with this elegant ship from a bygone era, Mr. Merlin set about finding information on the Emeraude, finally locating the family of Mr. Paul Roque, the original owner of the ship. As it turns out, their Paris apartment housed mementos of the ship, including a large antique model of the Emeraude as well as original China, silverware and even a century-old staff uniform. 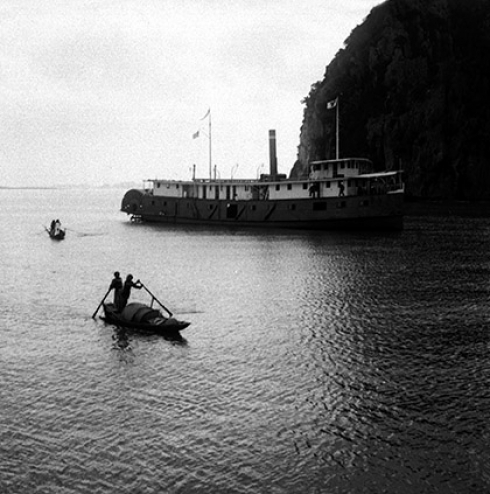 Mr. Merlin learned that the Roques believed in exploring Halong Bay in style, ensuring that their ship had electric lights, ventilation, refrigeration and even darkrooms for the many photographers who were inspired by the area’s incredible scenic beauty. Armed with this information, Mr. Merlin commissioned boat builders in Hai Phong, Vietnam to bring back the Emeraude, reviving not just a much-missed means of transport but also a lost era of glamor, romance and discovery. In December 2003, the Emeraude was reborn as a modern ship built to exacting international standards but still very much inspired by the original design. The new Emeraude was envisioned as an ocean-going vessel, complete with Halong Bay’s first steel hull to complement state-of-the-art navigational and safety systems, making her one of the safest, smoothest cruise ships on the bay today. 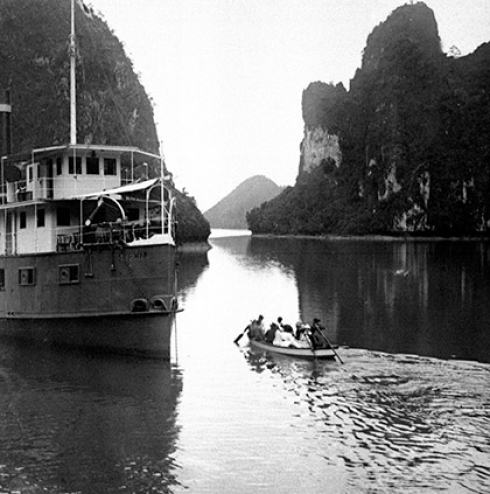 From a faded postcard found by happenstance in a Parisian flea market, the Emeraude found new life and once again plies the emerald waters of Halong Bay, providing guests with an exceptional cruise experience inspired by the Golden Age of Travel.